Ah, pointe shoes: We love those beautiful, glamorous torture devices! But pointework didn't always look or feel the way it does today. In fact, pointe shoes evolved over the course of several centuries—with many fascinating (and some straight-up bizarre) stops along the way. Here are a few highlights of pointe shoe history. French dancer and choreographer Charles Didelot was the first to put ballerinas “on pointe"—but his dancers weren't wearing pointe shoes. Instead, Didelot used a flying machine, with hidden wires that held dancers on the tips of their toes before whizzing them up into the air. Similar machines are still used today in ballets like Peter Pan and A Midsummer Night's Dream. The first dancers to actually stand on their toes didn't have Didelot's fairylike effect in mind. Italian grotteschi dancers, who performed in opera houses throughout the 18th century, specialized in exaggerated pantomime and humorous acrobatic tricks—and in the 1820s, grotteschi dancer Amalia Brugnoli became one of the first people to hoist herself up on pointe. 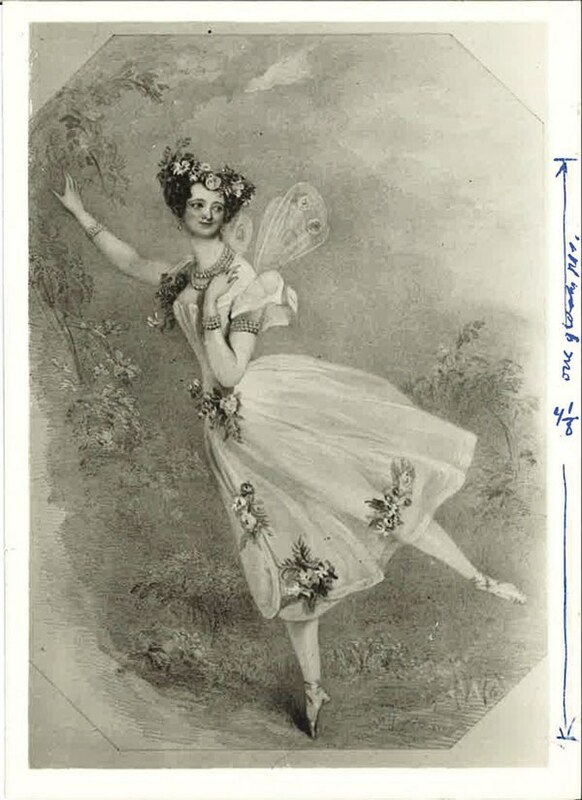 Taglioni's contemporary, Austrian ballerina Fanny Elssler, was wildly popular in America—President Martin van Buren was an especially big fan. During one of her visits to Washington, DC, legislators toasted Elssler with champagne at a formal banquet in the Capitol building. The glass? One of Elssler's pointe shoes. Fans also went crazy for Taglioni, thanks in no small part to her pointework. 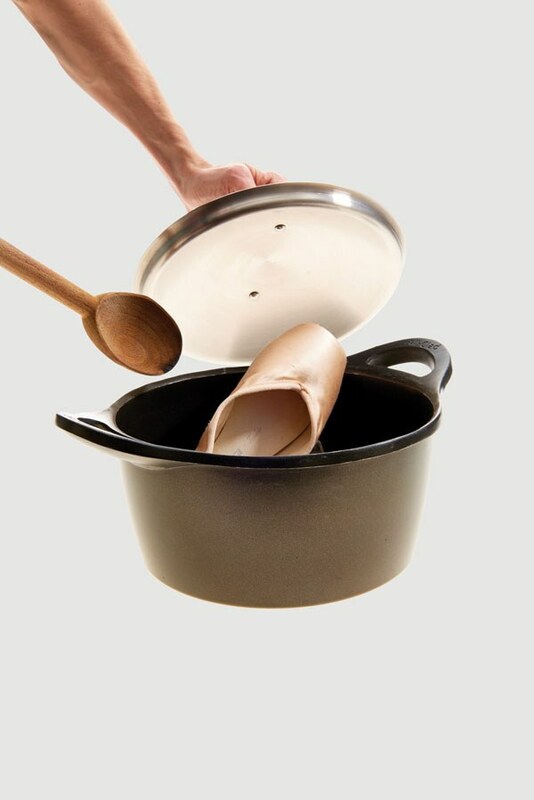 In 1842, after she gave her final performance in Russia, a group of enthusiastic devotees purchased a pair of her shoes for 200 rubles, cooked them in a stew and ate them. During World War II, Japanese pointe shoe manufacturers tried to use balsa wood for the stiff boxes of pointe shoes, rather than the traditional layers of paper, fabric and glue, as those materials were needed urgently for the war effort. Unfortunately, the experiment didn't go well—the wood ended up crumbling under the dancers' bodies. The Red Shoes, one of the first blockbuster dance films, premiered to huge audiences in 1948. It tells the story of a young ballerina whose cursed red pointe shoes cause her to go mad and eventually commit suicide. And you thought your shoes were tormenting you. Les Ballets Trockadero de Monte Carlo ("the Trocks," for short) arrived on the scene in 1974, bringing pointe dancing to a whole new group of people: men! The all-male company, which is still around today, parodies classical ballets and their delicate female roles—pointe shoes and all. Center Stage became everyone's favorite dance movie when it was released in 2000—despite the fact that it included one of the most suspicious moments in pointe shoe history. During the film's climactic final dance number, heroine Jody Sawyer's pointe shoes magically change color, from ballet pink to rocker-chick red, in a split second. Physically impossible? Definitely. Delightfully cheesy? Totally.